Are you looking for powerful training that delivers immediate, lasting results? 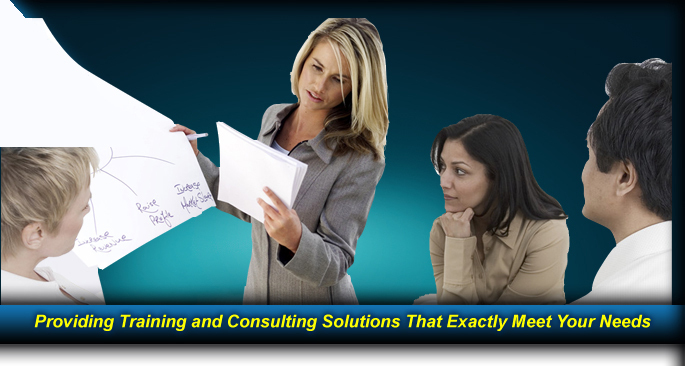 We specialize in comprehensive, cost-effective training solutions to improve human performance and business success. We provide customized training solutions to propel your organization towards its objectives. This includes pre-training assessment, customized development, program delivery, coaching, reinforcement tools, individual action plans and consulting to support your most important goals. Is your team ready to take on challenges to achieve extraordinary success? Are they energized, focused and accountable? As you reach for “own your world” breakthroughs, performance steps up. We believe individual accountability leads to organizational results. We help each participant move toward “own your world” top performance with action plans tied to job goals that also provide a powerful reinforcement tool for managers.